The flights, which begin on May 28, will be operated by the wholly owned British Airways subsidiary BA CityFlyer on 98-seat Embraer 190 jets. Fares start from £49 each way based on a return fare with hand baggage only, inclusive of all taxes, fees and charges. Stansted MD, Andrew Harrison, said: “I am delighted to welcome British Airways to Stansted and very much look forward to the launch of its first ever scheduled flights from the airport in May this year. “Since we acquired Stansted, our focus has been on attracting a wider choice of airlines and these new services to Faro, Malaga, Palma and Ibiza are strong additions to our route network, which now covers over 170 destinations across Europe and North America. Luke Hayhoe, British Airways’ general manager commercial and customer at BA CityFlyer, said: “This is a fantastic opportunity for us to expand our London network and to give our customers even more choice of where to fly from this summer. Turkish Airlines is the latest major airline to join London Stansted Airport’s growing cargo operation when it begins new services to Istanbul today (Oct 29). The airline joins international heavyweights that include China Southern Airlines and Qatar Airways as the fifth carrier to be added to the cargo network since MAG (Manchester Airports Group) took over ownership of Stansted in March 2013. The upsurge in operators has seen the airport’s cargo tonnage rise in the past 12 months by 9.5% to lift the annual total to over 235,000 tonnes. The new Istanbul link is Turkish Airlines’ first UK all-cargo flight for six years and will see an Airbus A310 fly a weekly service to Stansted from Istanbul’s Ataturk airport via Amsterdam. 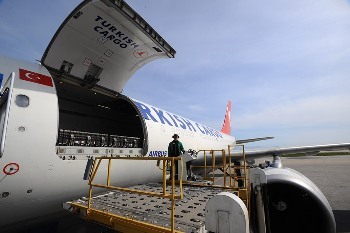 “We're delighted that Turkish Airlines has selected the modern, world class cargo facilities at Stansted from which to operate their first UK freight services for six years. Stansted is one of the largest cargo hubs in Britain with more than £9.5bn worth of cargo transported every year. 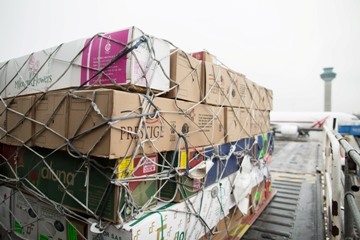 Stansted is the busiest for all-freighter traffic among the London airports and transports thousands of tonnes of textiles, fruit and vegetables, electronics, pharmaceuticals, mail, horses and Formula One equipment on 11,000 annual flights to destinations in nearly every continent. Figures released by Stansted Airport’s parent company, Manchester Airports Group (MAG), show that the Group has increased the value its airports generate for the UK and for the communities in which they operate, whilst significantly reducing their environmental impact. The Corporate Social Responsibility Report (CSR) report 2014/15 demonstrates the wide and varied benefits of the Group’s airports, including the positive financial impact on the communities they serve and their contribution to local skills, education and labour markets, as well as the efforts they make to reduce environmental impacts such as carbon emissions and noise. This year, MAG’s airports across the UK, at Manchester, London Stansted, East Midlands and Bournemouth, will contribute £5.6 billion in economic activity to UK PLC. This means that for every £1 the Group earns in revenue, economic activity worth another £7.58 is generated in the wider economy as a result. Passenger growth, and substantial investment in facilities at the Group’s airports has resulted in more jobs and economic opportunities at and around each airport. The main drivers behind their expanded ‘economic footprint’ include the employment opportunities and economic value generated by their operations, including passenger and cargo flights and airport services. The benefits also include jobs and revenue generated in the airports’ direct supply chains. Long-term commercial agreements with airlines have generated market-leading increases in passenger numbers across the Group, (+10.7% to 48.5m in 2014), driven by record numbers at Manchester Airport (+7.2% to 22.3m in 2014) and unrivalled growth at London Stansted Airport (+16.1% to 20.9m in 2014). Together, nearly 39,000 people now work for a range of different employers at MAG’s airports across the UK, contributing £3.2 billion at a local level to their regional economies. Taking into account jobs in the supply chain and those supported by the wages earned in relation to the airports, this figure increases to 121,500 across the UK. Since 2013, direct and indirect jobs supported by the airports in Manchester, East Midlands and Bournemouth*, have grown by 4%, while the airports’ contribution to their respective regional economies has risen 13.6%. Stansted, the fastest growing airport in the UK, contributes over £1bn each year to the Eastern region’s economy and supports over 21,000 jobs. Nationally, it contributes over £2bn to the economy, with every £1 in revenue generated contributing £3.68 back into the local economy. “MAG's airports are true growth engines for the regions in which they operate. The figures we are releasing today demonstrate the powerful role that airports across the country play in generating wider social and economic benefit for their local communities and the UK economy. “Our airports help stimulate employment both on and around the airport site, and through the wider economy. In a year when we have transported record numbers of passengers, we have also managed to significantly reduce our environmental impact. “Whether you are a manufacturer based in Rochdale, a start-up company in the London-to-Cambridge corridor or employed in the transport industry in the Midlands, our airports help you tap into the global marketplace and unlock your company’s potential. “People up and down the country, whether they are looking to travel on leisure or business, or find employment, tell us time again how valuable it is to have access to their local airport. “Not only does a nationwide network of competing airports provide the best solution for customers, but it also provides an important catalyst for re-balancing UK PLC. “As the North's Global Gateway, Manchester Airport will do more than any other UK airport to drive the Northern Powerhouse forward, providing international connectivity directly from the region. At a time when MAG is continuing to deliver growth and investment across its four UK airports, the Group has also managed to deliver a significant reduction in its environmental impact. At the same time as passenger numbers across the Group increased by 10.7% to 48.5 million, investment in energy efficiency has reduced carbon emissions from the airports by a further 16% year on year. Complaints about aircraft noise are also down 24%, helped by a continued focus on improved operating techniques. These include increasing the use of both ‘Preferred Noise Routes’ which concentrate aircraft operations away from built-up areas and ‘Continuous Descent Approach', which reduces engine power during approach and consequently noise and emissions. In addition, Stansted Airport is trialling innovative GPS technology during take-off, which helps pilots follow a defined route much more accurately, thereby concentrating planes over a smaller area and reducing the number of people exposed to aircraft noise. The numbers of passengers using public transport to access the Group’s airports are at also at record levels. Stansted remains the number one major airport in the UK for public transport use with over 51% of air passengers using rail, bus and coach services to access the airport. Last year, MAG placed 651 people into on-site employment through its airport academies, a highly successful employment and training programme designed to support local unemployed people back into the workplace. By 2020, MAG aims to provide training and support to a further 5,000 local people. With the support of partners, MAG has developed the specialist academies at Manchester, Stansted and East Midlands airports. The academies aim to break down the barriers to local people gaining employment at MAG airports. These barriers may be related to long-term unemployment, lack of awareness of job availability at the airport, or the perceived inaccessibility of the airport. Meanwhile, MAG ‘Aerozones’ at East Midlands and Stansted airports are the centrepiece of an educational partnerships programme, providing inspirational education centres for school children and young adults. Students of all ages can learn about how an airport works, whilst hearing first hand from people who work in the airport environment. The facilities are based on the airport sites and are accessible to young people aged 5 to 18. MAG has also invested heavily internally in in-house training, in order to ensure that the Group can better retain employees, build their skills and attract the best new people at every level of the organisation. MAG’s aim is to achieve 50% of leadership promotions through internally developed candidates. *excluding Stansted, which was acquired by the Group mid-way through 2013. London Stansted’s ‘Meet the Buyers’ event is designed to help local firms win more business and improve their sales prospects. It is a key pillar of the airport’s commitment to its regional community and gives local businesses the opportunity to meet buyers from over 30 major companies and organisations from across the region. Last year’s event is estimated to have generated £2 million in new sales and business opportunities for local firms. The 2015 event will take place on Thursday, October 15, at the airport’s prestigious Inflite Business Aviation terminal. The events are also an opportunity for local businesses to network and hear from a number of speakers, including the airport’s Managing Director – Andrew Harrison. Fomara Print+ in Southend, formed in 1971, are just one firm in Essex to have benefited from attending a ‘Meet the Buyers’ event at Stansted airport. Its Managing Director, Phil Wilce, explains: “The events clearly open the doors to new business opportunities every time we attend – every time we have gone it has resulted in us taking on at least two new customers and that’s something we very much intend to continue taking advantage of. 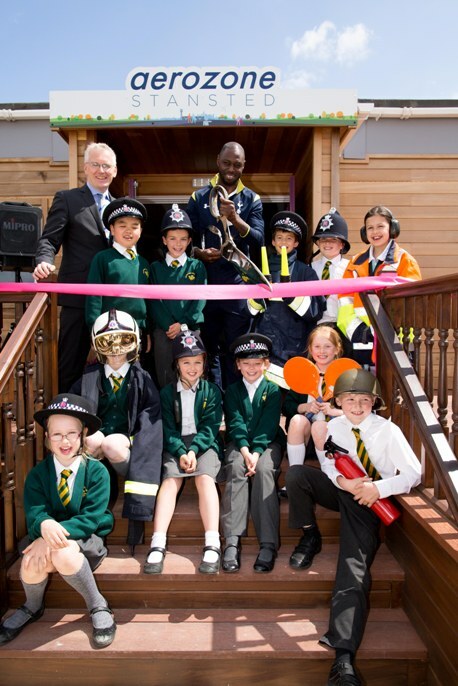 Aerozone Stansted, MAG’s flagship community project at the airport, opened in June 2015 and is designed to encourage children to consider choosing a career in the aviation industry when they leave full time education. A particular focus of the £500,000 learning hub is to boost talent and increase interest in STEM subjects - science, technology, engineering and maths - to young people aged 5 to 18. It aims to attract over 5,000 youngsters by 2016. “The Aerozone is our flagship community project here at Stansted and its opening represents a long-term commitment to our community. Engaging with young people, particularly those living in areas close to the airport, is a vital part of our community work. To reflect the pace-setting style of our business membership, we are pleased to announce the unveilling of our sleek new logo – a striking semi-abstract design representing flight – that forms the basis of the organisation’s new corporate identity. “The new image mirrors exciting new changes at the Chamber, which represents the region’s biggest employer and gives its members an inside track on new business developments and opportunities at the airport, including preferential rates on site conferencing facilities and exhibition space at the Check-In @ Stansted Trade Show”. Over the next few months the new logo, which has been designed by SACC Member Simpsons Creative, the Stortford based advertising and design agency, will be rolled out on the Chamber’s new website, social media sites, business stationery, advertising and signage. So don't delay, sign up and join our business network today! Full details of Membership benefits and costs can be viewed by clicking here. 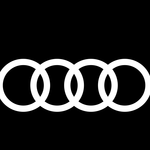 We look forward to welcoming you onboard soon.